Equifax Hack: What Should You Do? As many of you may be aware, the credit agency, Equifax announced September 7th, 2017 that it suffered a data breach affecting 143 million U.S. consumers. The hack exposed names, Social Security numbers, addresses, birth dates, and driver’s license numbers—all critical pieces of information used by identity thieves to impersonate people and conduct fraud. 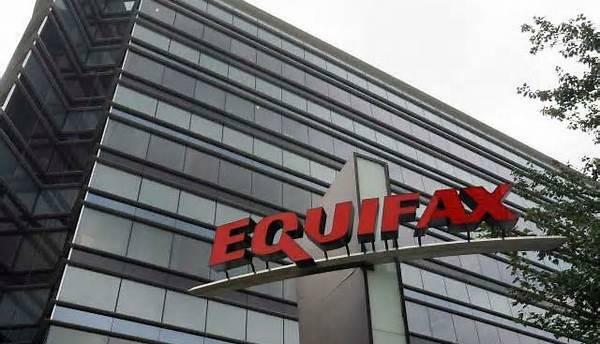 This is probably the most consequential data breach in history, considering that nearly all U.S. adults have their credit histories on file with Equifax and the other two credit bureaus, Experian and Transunion. While it’s true that for some time that the public’s personal information has been available for sale in the black market, no data breach as comprehensive as this one has ever occurred. That’s why it’s critical that you urge your clients now to take significant steps to protect themselves—steps that exceed the weak response Equifax is recommending now. Here’s what you and your clients need to do immediately to safeguard your information. If you have not done so already, it is imperative that you freeze your credit immediately at each of the three credit bureaus. A security freeze, also called a credit freeze, locks your credit file at each bureau with a special PIN that only you know. That PIN must be used in order for anyone to access your credit file, or add new credit in your name. Credit bureaus rarely emphasize freezing your credit file because it’s not in their best interest, or their clients—banks and other companies that grant credit. Instead, they recommend “credit monitoring,” a largely useless and ineffective service that charges you money to tell you when your open, or unfrozen, credit file has been accessed. Make sure you keep up with your PIN number. If you are afraid you will forget your PIN number or just don’t want the hassle of freezing and unfreezing your credit, you should consider a monitoring with some type of insurance coverage but remember you don’t have total control of your credit. A security freeze gives you complete control of your credit file. Unlike credit monitoring or fraud alerts, a security freeze stops an identity theft from happening rather than alerting you to potential fraud after it has happened. To set up a security freeze you must contact all three of the credit bureaus individually. This process can be done online or over the phone. You will be asked some questions to confirm your identity but it only takes a few minutes. We recommend beginning with Experian and Transunion as Equifax’s website is currently receiving high traffic. To lift your freeze you simply contact the bureau used by the lender and provide your PIN to lift the freeze for a certain period of time. This can be done online or over the phone. It may take a few days for the freeze to be lifted so be sure to do it a few days in advance. You can see if you were a victim of Equifax’s hack by visiting http://templatelab.com/equifax-breach-potential-impact/ and entering your last name and last six digits of your Social Security number. You can also wait to receive a letter from Equifax. Regardless, take this time to freeze your credit. Given the sheer volume of breaches in the past few years, it is likely your information has already been exposed. Freezing your credit will give you peace of mind and is a crucial step in protecting your identity from hackers.